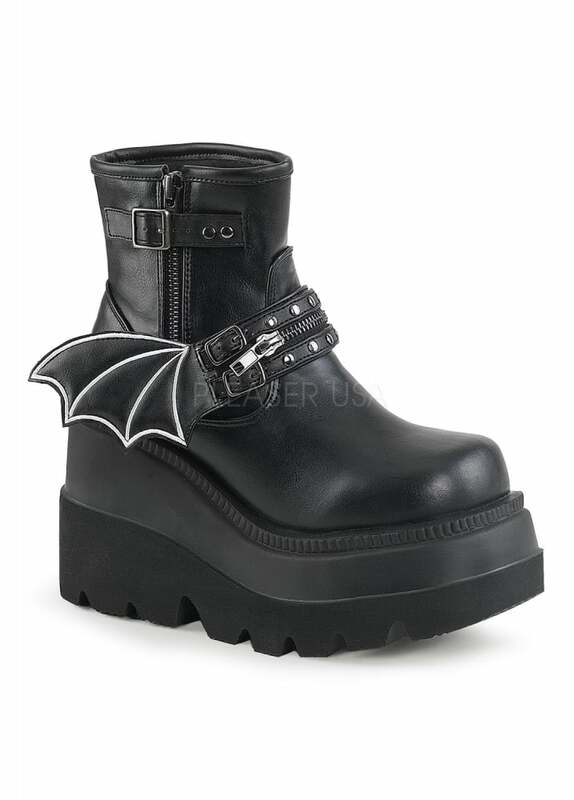 Demonia's Shaker 55 Gothic Platform Boot is a spooky ankle boot for everyday Halloween style. The black, vegan leather boot has an outer zip and buckle strap. The alternative boot has bat wings attached to a studded, zippered strap and the sole has a stacked wedge platform.